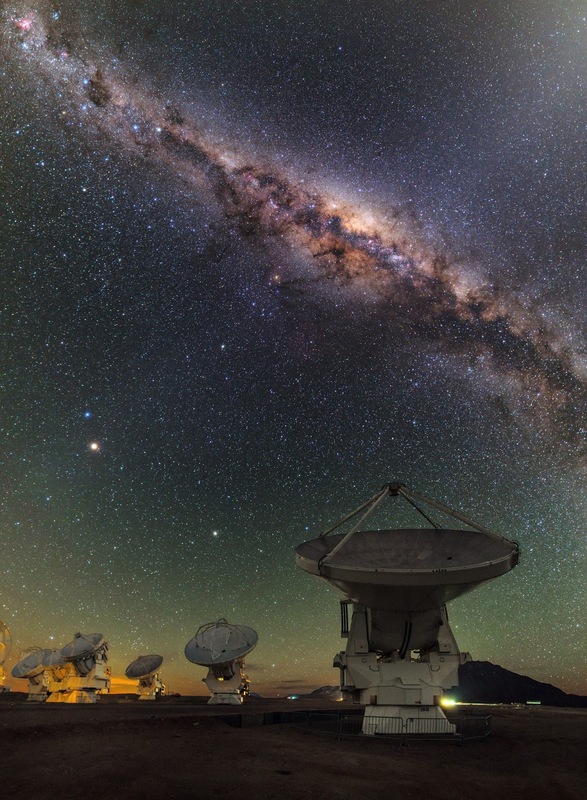 This view shows several of the ALMA antennas and the central regions of the Milky Way above. In this wide field view, the zodiacal light is seen upper right and at lower left Mars is seen. Saturn is a bit higher in the sky towards the centre of the image. The image was taken during the ESO Ultra HD (UHD) Expedition. Excellent information and very fabolous photo.Congratulations. I recommend this interesting blog.Is very good. Marvelous. Here, my happiness! My regards.